There are no boundaries to how chicken is cooked. Just take a leaf out of KFC’s book. 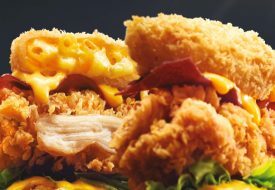 The fast-food outlet has given us creative variations such as the salted egg flavoured Gold Spice Chicken, and most recently, broke ground by debuting the Signature Grilled Chicken, which is now a permanent food item on the menu. 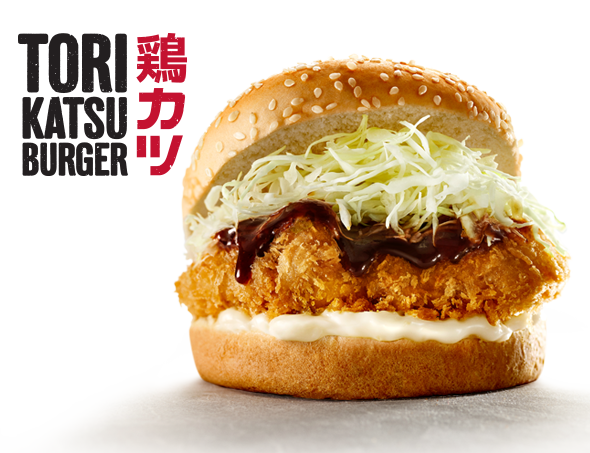 Now, KFC is offering up a little nibble of Japan with the new Tori Katsu Burger. 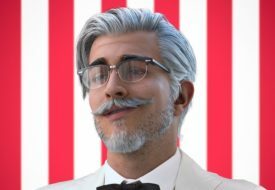 This isn’t the first time KFC has drawn inspiration from the Land of the Rising Sun. You may remember the fried chicken joint’s attempt at injecting an ‘umami’ taste profile to 2016’s moreish Umakara Chicken. Sandwiched between two soft sesame buns, the Tori Katsu Burger consists of a chicken fillet coated with breadcrumbs, before fried to a katsu-style crispiness. The burger also includes Japanese white shredded cabbage, which is then smeared with a savoury housemade sauce and mayonnaise. To complete the Japanese gourmet experience, KFC also rolled out the perfect accomplice of the Bonito Fries, where fries are drizzled with the same housemade sauce and mayonnaise, and sprinkled bonito flakes. 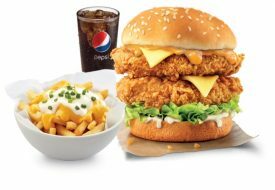 Available at all KFC outlets, except KFC Changi Airport Terminal 1, KidZania and Singapore Zoo.